In 2011, Barbados Sotheby's International Realty joined Sotheby’s International Realty© in celebrating the brand’s 35th anniversary as one of the world’s most recognized names in the luxury property market. Founded in 1976 by the Sotheby’s Auction House, as famous for its exceptional service as the prestigious art, jewelry and other priceless possessions it represents, Sotheby’s International Realty© connects the finest real estate companies to the most prestigious clientele in the world. 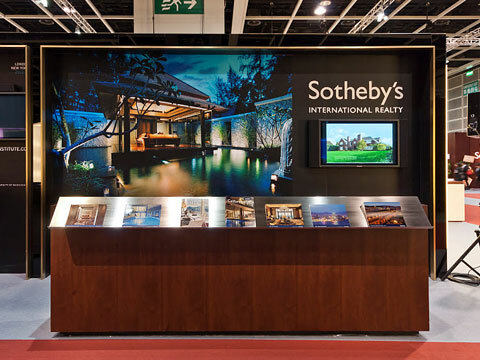 Since then, The Sotheby’s International Realty© brand has become synonymous with impeccable quality and specialist expertise, representative of the exceptional service Sotheby’s clients have been given worldwide. And there’s been no slowing down. In 2011 Sotheby’s International Realty© experienced a rapid expansion in the UK with new offices opening in key locations across the country. Led by Charles Smith, Managing Director of Sotheby’s International Realty© UK, the expansion coincides with an increasing international desire for prime luxury property and a growing appetite for high quality, bespoke customer service. The UK expansion marks an important step in Sotheby’s International Realty’s worldwide growth plans. The brand is currently experiencing a dominant surge in both the United States and Canada, as well as establishing operations in Brazil, Russia, India and China, new growth markets for the international luxury estate market. As a result, the company’s international network has one of the most expansive reaches of any residential real estate company in the world, with over 21,000 agents working in more than 900 offices in 68 countries and territories worldwide.